Just over a year ago I worked with Swedish phone case brand CaseApp, who sent me a gorgeous case for my iPad. Last time CaseApp contacted me I had a phone that wasn't very common and they didn't actually do cases for my phone. Despite having just recently got a new phone, again I have one that isn't very common and CaseApp don't offer cases for it. CaseApp kindly offered to send me a new iPad case as well as a phone case for a friend or family member. 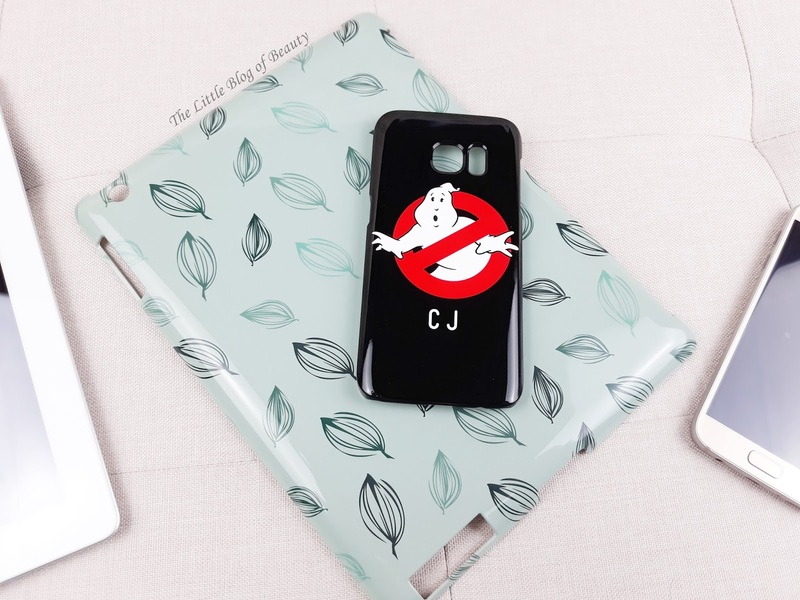 CaseApp offer two types of products; cases and skins, and you can also choose from one of their existing designs or design your own. 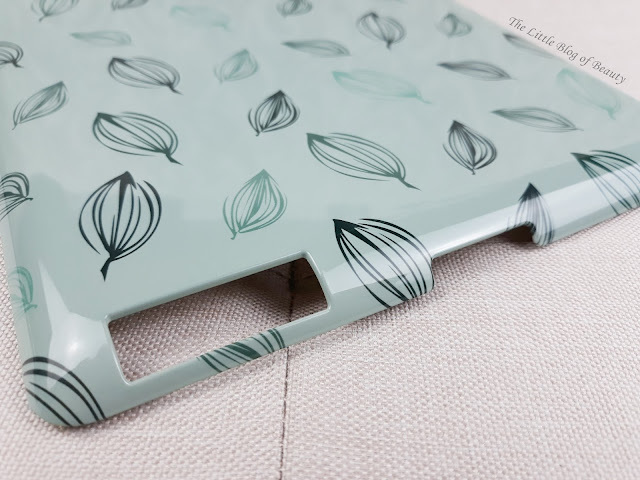 A case is a hard product that clips on to your phone or iPad and a skin is like a sticker that you apply to the back of your phone or iPad or the top of your laptop. I've only just realised that in my last post I incorrectly called my case a skin through the whole post. I never really know what to do when it comes to designing my own case, I don't really have anything in mind and wouldn't know where to start, so I tend to go for picking an existing design. I narrowed it down to a few designs I liked and was going to make the final decision when it came to ordering, but then I discovered they'd added some new designs and I loved some of those too. As it's currently autumn and I'm loving collecting up conkers and kicking through crispy fallen leaves I went for a falling leaves design called I Leaf Spring (which I personally find a little strange when it has just launched in autumn). This design comes in three colours; blue, pink and green, and I went for green. I would have loved if it had come in a bronze/orange/red falling autumn leaves kind of colour. Just like my previous iPad case this one is such good quality. The inside of the case is a little marked with some of the design showing through, but that doesn't matter because that can't be seen once the case is in place. When it comes to the side with the design and all the little cut-outs for various ports, lenses and buttons, everything is perfect. There's plenty of room to access anything you need to and all edges are finished perfectly. I'm no expert on the cost of cases like this but at £35 I would say this is mid to higher end in terms of cost and the quality definitely reflects this. When it comes to dropping his mobile phone my boyfriend is a nightmare. We went for a bike ride in the summer; he took his phone out of his pocket and dropped it. He picked it up and while checking for damage (there was none) he dropped it again and cracked the screen and smashed the camera lens. He checked when he was due for an upgrade and discovered he could upgrade the following day, the jammy bugger! He currently has a full clear case over his whole phone, but as I had the offer of a reduced price case (I did actually pay something towards this case) I offered him a new one. He had a look at the existing designs, but to be honest most of them are probably a bit too feminine for him, so he decided to design one. 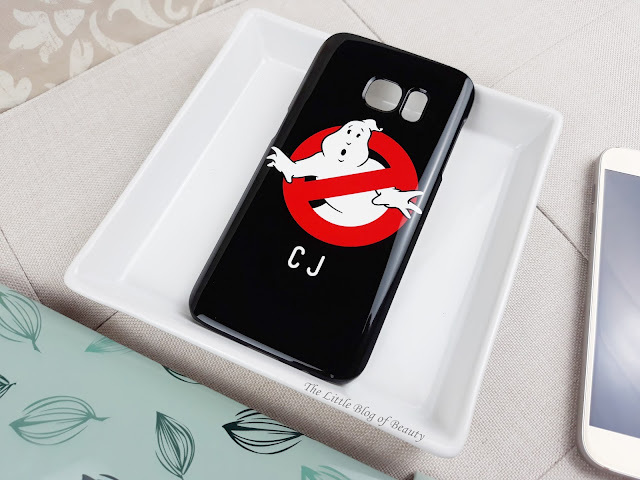 You may be aware that I'm a Parapsychologist (someone who knows a bit about ghosts) and my boyfriend is too and so he decided he wanted to design his own Ghostbusters case. 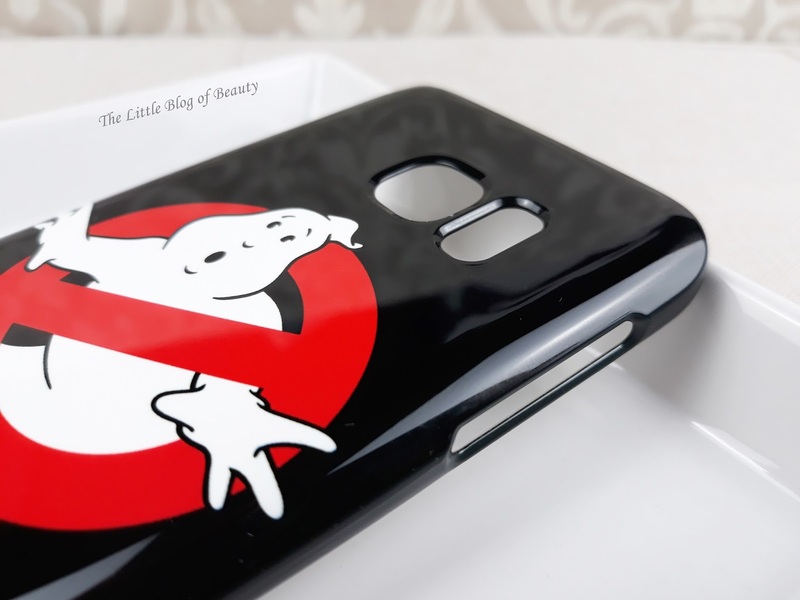 Designing your own case is pretty easy; we uploaded a Ghostbusters logo and the design tool warned us that the first image we uploaded wasn't very good quality so we changed it. It also tells you how best to position your image and how big you should make it so it fits on the case nicely. He also added his initials to make it more personal. I really like that they have a tool to centre your image or anything you type in so you know it's smack bang in the middle. You can also choose to have a glossy or matte finish. Just like my iPad case my boyfriends Samsung S7 case is amazing quality with perfectly finished cut-outs for ports/buttons/lenses and the design doesn't look like we created it ourselves. By this I mean there's no tell-tale lines or anything slightly off centre. The only issue I had with the phone case was when it arrived there was some residue on it, like if you'd sprayed something near the case and it had settled and dried on the case. I assume this might have been something to do with making the case, but all it took was a good wipe down with a damp cloth and it polished up to the shiny surface you can see in the photos. My boyfriend is very pleased and I think £19 is a good price; it reflects the quality but isn't too expensive. 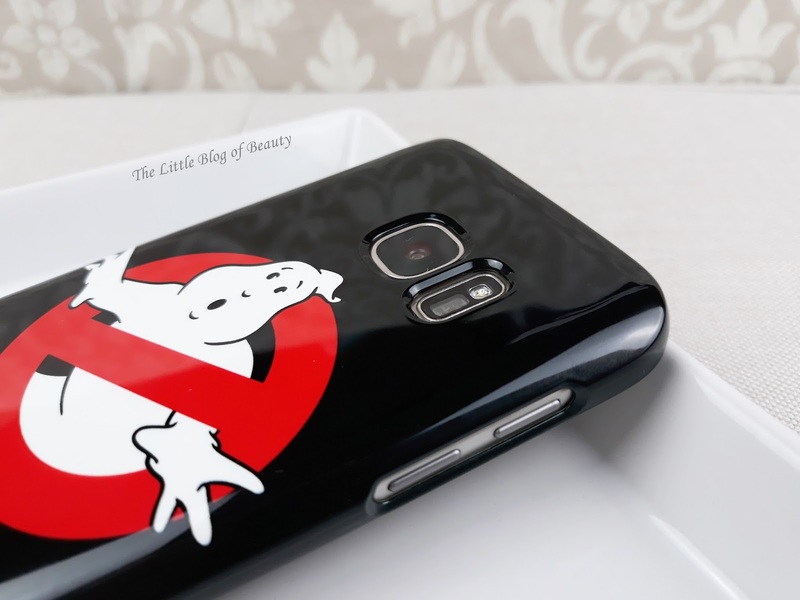 CaseApp have kindly given me a 20% discount code so you can treat yourself to a new case. Just head over to the CaseApp website and pop in code THELITTLEBLOG20 at the checkout. Will you be treating yourself to a new case? Let me know if you do! Excellent information. Very interesting to read. I really love to read such a nice post.